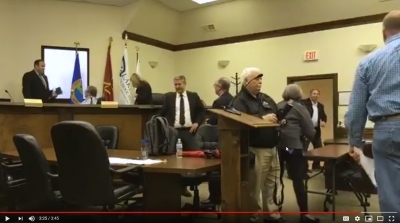 At the BOC meeting on 2/12/2019 the big news was A LOT of people were upset by the potential of their city taxes almost DOUBLING for a 12 year CON. But to people that can't have the reality of that be the headline, they needed to create a new narrative and get out ahead of the story. 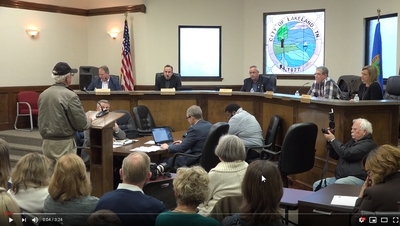 They wanted the story to be this was mainly the people of North Lakeland and that Mayor Cunningham allowed a guy from North Lakeland to go on a racist rant and the crow loved it. They even posted a deceptive video to "prove it" watch both videos and decide for yourself. This article talks about the 12 tactics use to manipulate people. It also features a good informative video about manipulation. Click the image or READ MORE below to read the full article. The city is about to us PFM again to provide to advise the city of the financial decision to borrow money to build a High School. They have not proven to be a reliable vendor in the past. Sign the petition asking for a new vendor. Scam update: Attempted explanations to the claims regarding the 65% higher interest rate on the middle school. Attempted explanations to the claims regarding the 65% higher interest rate on the middle school. This story is an update to a story we published earlier. 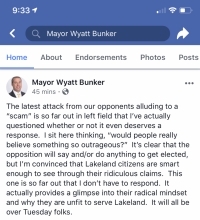 In that story we learned that Lakeland TN Mayor Wyatt Bunker intentionally negotiated an interest rate 65% higher than necessary so he could get "extra" money to build a 3.7 million dollar middle school athletic field. This article is found here. So far there have been two attempts to defend this information none of which have come directly from the Mayor. He wouldn't participate in a recent news channel 24 story at all regarding this matter. Bunker negotiates a 65% HIGHER interest rate! Wyatt Bunker is NOT a fiscal conservative like he claims to be. He purposely negotiated for a 65% HIGHER interest rate than the one that was offered to him. Why? It was so he could receive $2,500,000 in "extra" money. 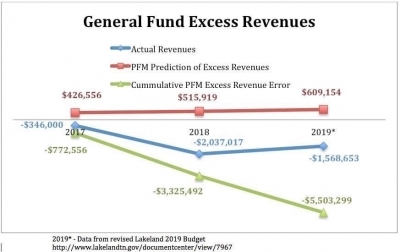 This money was misrepresented to the public and it was only because of a FOI (freedom of information request) that we know the details of the CON (Capital Outlay Note) that was used to finance the middle school. The purpose of the "extra" money was to build $3,500,000 worth of athletic facilities for the middle school. Note in all the discussions about the financing it was always discussed that it would be $20,000,000 at a fixed interest rate. It was NOT $20,000,000 and it was NOT a fixed interest rate. 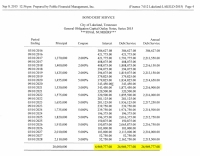 We have recently discovered a huge conflict of interest with the financial firm (PFM) whjo was advising the city. We already know PFM didn't do their own math. We just discovered we also paid them to not do it. Click Read More below.